KenXinDa got you covered when it comes to releasing smartphones at a small price and with fair amount of features.The KenXinDa W55 (KXD W55) is another recent addition on the list of the budget smartphones. It joins the several other Go-Edition android phones with improved interface making it much faster and responsive. 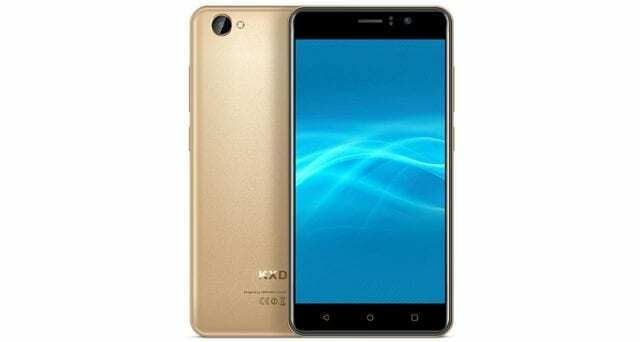 Essentially, it meets the need of a basic smartphone user with affordability thrown into the equation making it an ideal option to consider. Going for a rear metallic rear cover is a good thing making it much more durable and also makes it feel more premium when handled. In addition, the metal is also brushed to provide more grip to avoid slipping off your hands. You’ve got the usual thick bezels around the screen from before the minimal bezel age. The rear is a bit empty except for a big-eyed camera with flash beside it at the left corner and KXD branded at the bottom. The smartphone follows the budget book on this one with an average sized semi-crisp screen. Certainly not bezel-less, not even close with a chunk of bezels on the sides and at the vertical ends. For the sake of being cheap, you’re supplied a 960 x 480 pixel resolution display with a size of 5.5-inch. We most likely know how these entry-level smartphones end up in terms of how much power it has. With that in mind, you would cut the KenXinDa W55 some slack for featuring a 2, 500mAh which by the way can get you an all-day pass. 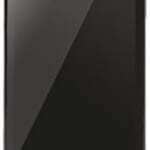 According to KenCinDa, the smartphone provides 12 days standby time, 20 hours talk time and 120 hours music playback. In reality the camera on the KenXinDa W55 is more of a necessity than a feature. Although you can get some mildly okay shots on this phone, it is not something you would want to go on your social media with at the end of the day. At tge top of the screen is where you have a 2MP camera for selfies while on the other side there is a 5MP camera. Following in the steps of the other low-budget smartphones, the KenXinDa W55 opts for a the quad-core MediaTek MT6580 processor in bed with a Mali-400 MP2 GPU. Furthermore, it has a 1GB RAM and just 8GB of internal storage space with a 128GB expansion limit. The smartphone joins several others in the league with Android 8.1 Oreo Go Edition OS having optimisation for the low specs. 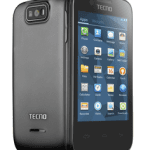 The smartphone is going to cost you about 25, 000 Naira depending on the deal and location.